Summary: “The first time Uncle Charlie came to live with us he was alive. The second time he came, he was dead.” So begins this ghost story about Tony, who grows close to his eccentric Uncle Charlie shortly before his death. Before he dies, Uncle Charlie encourages Tony’s family to move to San Francisco so Tony can attend the Penda School, where Uncle Charlie was a student. After his death, they do so, and immediately, Tony suspects there’s something strange about the school. For starters, he keeps seeing Uncle Charlie. Then there’s the mysterious blond boy in his class that other kids don’t seem to see. As Tony hears more stories about ghosts and Penda students who have gone missing, he begins to suspect he may be in great danger. The people around him may or may not be who they say they are, and it’s difficult for Tony to know just who he can trust. The suspense builds to a heart-stopping climax at the school’s Halloween party, when Tony has to single-handedly battle the ghosts for the life of the school…and himself. 288 pages; grades 4-7. Pros: A suspenseful ghost story with plenty of plot twists and turns. Plenty of creepily evil characters without being super scary. Cons: It was difficult to believe that a school in which students have disappeared regularly for decades hadn’t triggered some sort of investigation. 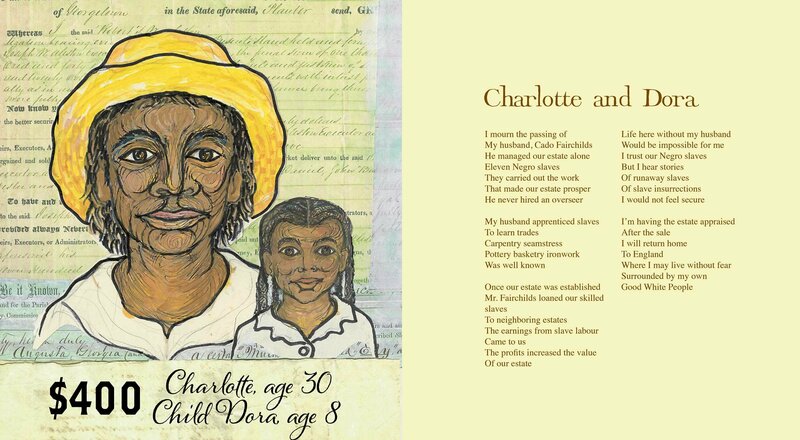 Summary: Coretta Scott King Award winner Michele Wood has created beautiful paintings inspired by thirteen African American slave songs, such as “Jacob’s Ladder” and “Go Down, Moses”. There is a one-page introduction that begins with the question, “What does a bird have to do with American slave songs?” Each two page spread includes the song with music, a painting, and a paragraph or two of text giving some background about the song. The bird motif in the title and introduction is carried out through the book, with a white dove appearing in every painting. 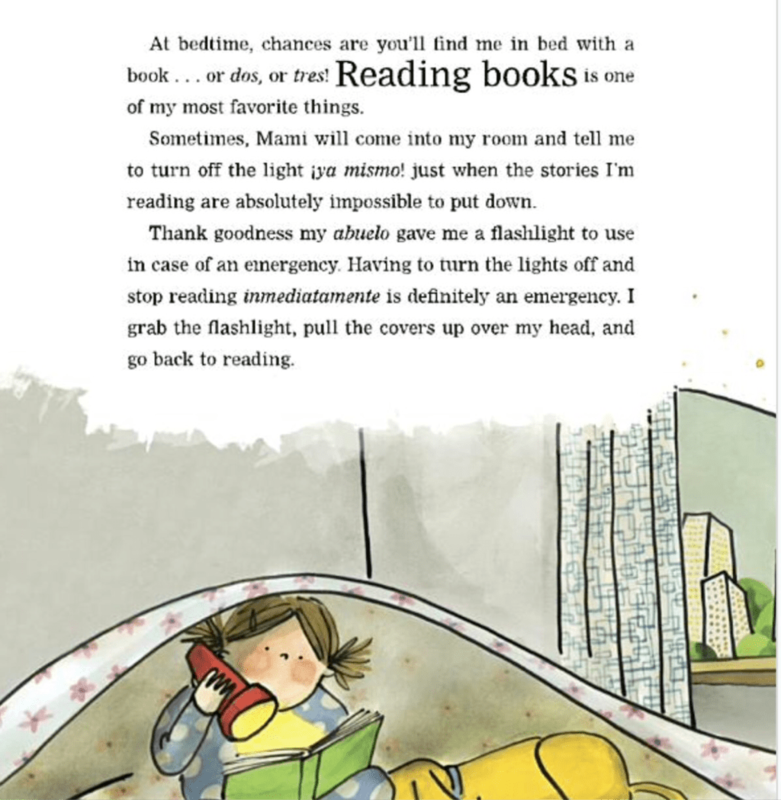 The last several pages include lyrics to all the songs, a glossary, bibliography, and a list of books and websites for additional reading. 40 pages; grades 3-6. Pros: This unique book would make an excellent addition to music and art libraries. The beautiful paintings express both pain and hope, and contain interesting and symbolic details. The words and music make the songs accessible to all readers. Cons: Listening to way too many “Wee Sing” cassettes in my children’s early years caused those versions to spring into my mind as soon as I saw many of these song titles. Summary: Chris loves pretending he’s an astronaut, but when the sun sets, he has a problem. He’s scared of the dark and refuses to go to sleep in his own bed. Finally, his father issues an ultimatum: if Chris doesn’t go to sleep, they’ll all be too tired to go next door the next day. That does the trick. Chris falls asleep and dreams his favorite dream, about landing on the moon. And the next day, watching on the only TV on the island where his family spends the summer, Chris sees the first man walk on the moon. He realizes that the darkest dark is in outer space. And he knows that he wants to explore that darkness, and that he won’t be alone, because his dreams will be with him. An author’s note tells how Chris grew up to be one of the first Canadians in space and the first Canadian Commander of the International Space Station. Also included is a montage of photos of Chris Hadfield as a child and an adult, and a message from him about following your dreams. 48 pages; ages 4-8. Pros: A book about overcoming your fears and following your dreams, particularly inspiring because it’s about a real person. Brothers Eric and Terry Fan beautifully capture both the dark and the brilliant summer moon. 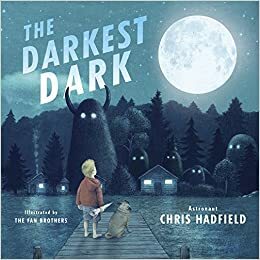 Cons: Kids may not snap out of their fears of the dark quite as quickly as Chris does. Summary: Frankenstein, vampires, Bigfoot, zombies, werewolves, and sea monsters…each chapter starts with a labeled illustration of the monster in question, then gives a little history. Then it’s on to science, and lots of it. For instance, the first chapter—Frankenstein—covers electricity, the nervous system, organ transplants, genetic engineering, and robots. There are plenty of humorous illustrations, sidebars, and “Monster Facts”. Each chapter ends with a 10-question quiz that tests kids comprehension without taking itself too seriously. For Frankenstein, a score of 0-2 earns you the title of Luigi Galvani; 3-6 is Isaac Newton; and 7-10 is Dr. Frankenstein himself. An index is included, but no resources for further exploration. 96 pages; grades 3-7. Pros: This could make a fun and fairly comprehensive science textbook. There’s plenty of information, presented with lots of humor. The monster aspect adds an extra element of interest for readers. Cons: It would take a keen interest in science to get through all the material here. Summary: Juana lives in Bogota, Colombia with her mother, Mami, and her dog Lucas. She loves soccer, her best friend Juli, and Astroman. She does not love learning “the English” at school. It’s hard, and there doesn’t seem to be much point to it. But then her beloved grandparents tell her they want to take her to Spaceworld in Orlando, Florida, where Juana will get to meet Astroman. Her grandfather tells her that at Spaceworld, everyone speaks English, and Mami tells her that if her grades don’t improve, there will be no Spaceworld. That’s all the inspiration she needs, and before long, the family has an amazing trip, and Juana gets to tell Astroman her whole life story. 96 pages; grades 2-4. 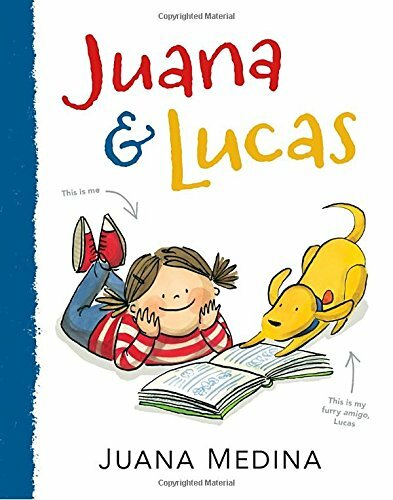 Pros: Fans of Judy Moody and Junie B. Jones will enjoy the spunky Juana and her affectionate dog. The Colombian setting and frequent Spanish words give this a nice international flavor. Lots of colorful, cartoony illustrations throughout. Cons: It would have been nice to have a Spanish to English translation guide for all the Spanish words in the text. 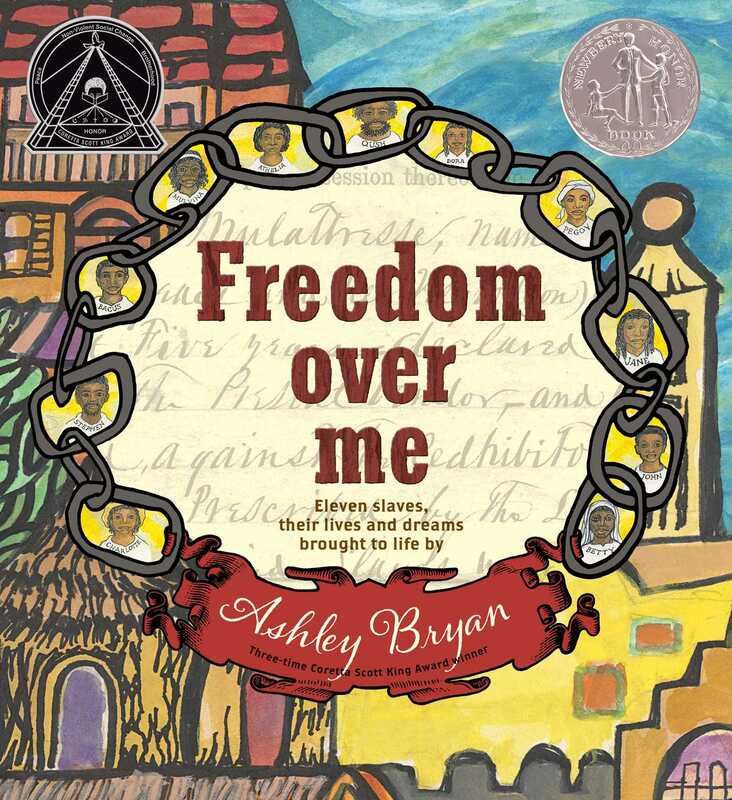 Summary: Many years ago, as he explains in his ending author’s note, Ashley Bryan received a collection of documents relating to slavery from the 1820’s through the 1860’s. He chose one of these, an 1828 appraisal of 11 slaves from the Fairchilds estate and created stories for each of them. He has given each of them a name, connections to each other, and a trade or talent that each has used to increase the wealth of the estate. Of course, this increase in wealth was not enjoyed by any of them. Each slave has a portrait and two narrative poems, one describing himself or herself, and the other telling about his or dreams. Almost everyone ends with a longing for freedom. Their master has died, the mistress is selling the slaves, and they have no idea where they will end up. The original document is shown at the end, along with the author’s note. 56 pages; grades 4-7. Pros: The sadness of slavery is profound in these poems of dignified, talented people, many of whom remember their lives and families in Africa. Bryant has done a masterful job of bringing them to life, both in words and pictures. Cons: I wanted to know where the estate was, but no details were given. Summary: Robert Byrd retells and illustrates the Greek myths about Jason and the Argonauts and their quest for the Golden Fleece. He begins with the tale of how the Golden Fleece came to be, then moves on to Jason’s task to go in search of it, the help he received from Hera, and how he gathered the Argonauts to be his crew (Orpheus, Atalanta, and Hercules were all Argonauts…who knew?). The crew sets sail, and encounters many dangers and adventures before finally returning with the Fleece, after which everything pretty much goes straight downhill. Each two-page spread is a separate story; many have sidebars describing a deity or other mythological character who appears in the tale. The final two pages includes brief profiles of the twelve Olympians (actually, thirteen), an author’s note, and a bibliography. Endpapers show a map of Jason’s journey. 48 pages; grades 2-5. Pros: A fantastic first book of mythology. The story is an exciting adventure, with plenty of interesting details, both in the text and the illustrations. The sidebars expand on the pantheon to introduce readers to many characters from the Greek myths. Cons: Those gods and goddesses sure were a fickle bunch.